Are You Moving to Minnesota? You're Not Alone! When you move into your new Minnesota home, getting a fast and reliable Internet connection will likely be at the top of your to-do list. Let Movearoo be your guide to finding it! Minnesota enjoys an average 24.8 Mbps Internet speed. 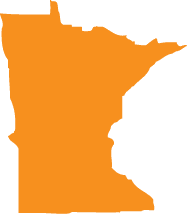 That means that no matter where you live in Minnesota, Movearoo can help you find the speedy Internet service you need! Find the best deals on TV, Internet, and phone service with Movearoo, a proud partner to the top telecommunications companies in the country. You’ll save time and money when you let Movearoo help you find bundles combining all of the services you need for your Minnesota home. Plus, Movearoo supplies a variety of resources—including moving checklists and guidelines—to help make your move as effortless as possible.